Introduction: The Bomber Switchback Crankbait is the latest addition to the popular Fat Free Shad line and features a unique design that features a modifiable rattle system. 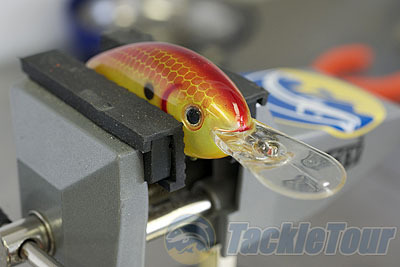 This design allows anglers to modify the lure on the fly by turning the rattle on and off. A lure that is able to be modified for changing situations? You know we had to cut this one open. 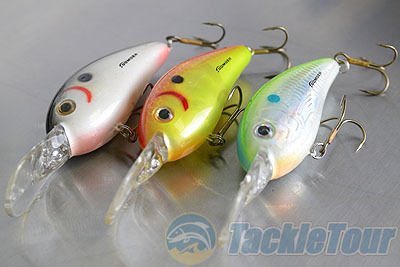 The Bomber Fat Free Shad is one of the most well known and popular crankbaits on the market and over the years the company has introduced a wide array of variations including deeper divers and silent models. Pro Angler Tim Horton worked closely with Bomber to create the Switchback Shad which is able to convert back and forth from a rattling to silent runner. 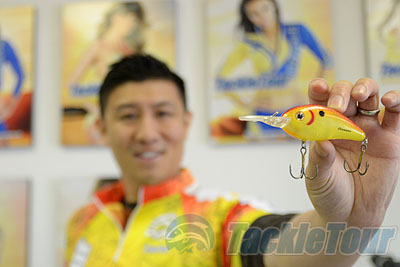 The patterns in the Switchback lineup are very recognizable and Tim hand picked the colors which are popular for tournament fishing and also specified sharp TX3 hooks. The Switchback Shad is available in M6, D6, M7 and D7 styles which range in length from 2 1/2"-3" in length, weigh 1/2-3/4oz/ and address depths from 4-18 feet. The Switchback Shad features a relatively slender bill which is designed to help get the lure down quickly and produce a very tight wobble. 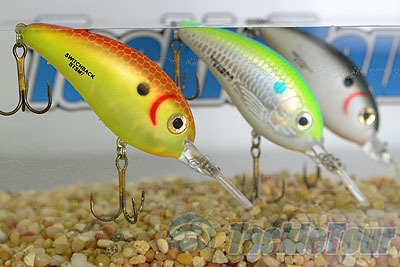 To further refine the lure's action a teardrop style pull was chosen which helps minimize unwanted movement. At rest the lure floats upwards but faces downwards, always ready to dive to the intended depth. In the lab all of the test lures were very consistent and patterns like the Citrus Shad, which features a shiny scale pattern, really seemed to "pop" underwater. 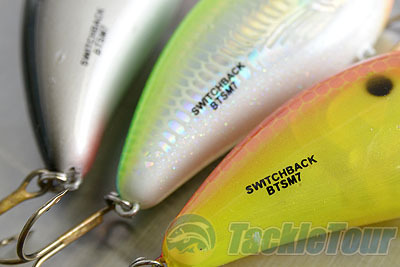 The Switchback is the first crankbait that I had to take the time to read the manual, which is conveniently printed on the packaging, prior to fishing the lure. So just how does the system work? Start by turning the bait upside down to dislodge the rattle then to disengage the rattle tilt the bait tail down with the belly still facing up.